Allowing your visitors to comment on your WordPress blog is a great way to encourage interaction and repeat traffic. With the use of the Akismet comment spam plugin, or your favorite comment spam plugin and The Subscribe To Comments Reloaded plugin, you can allow comments with very little moderation on your part. 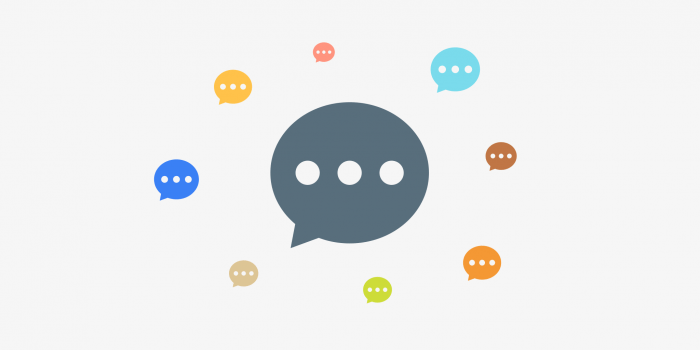 This short WordPress Guide will provide you with a balance of allowing comments without letting them overrun your WordPress Blog. In your Admin dashboard, navigate to the “settings” tab and click on “discussion” to edit all the comment features. This is crucial that you make the following changes. These are what I use on any blog. Let’s start with the first section of the discussion settings. The next option, Allow link notifications… will notify you when other blogs link to a post on your blog, it’s always nice to see these and to know others find your content good enough to share with others so check it. And since this is all about an interactive blog you definitely want to check Allow people to post comments on the article. Both of the Email me whenever notifications boxes should be checked at least to start so you can monitor comments. If you find it overwhelming your inbox you can always change these options. In the Before a comment appears section, I suggest just check the box, “Comment must be manually approved”. This feature is really up to you on what you want. Some blog owners like to moderate every comment and do have the staff to help approve comments faster because they want quality comments and not junk comments that don’t contribute to the topic at hand. Although we want to encourage comments and most comment authors want to see their comments posted immediately. Holding a comment in moderation may discourage future comments and bog you down approving every comment. The decision is up to you. There are software programs that automate blog comments that basically spam your blog, plastering their links on your posts. A common characteristic of comment spam has multiple links within it. This is where the Akismet plugin comes to the rescue, however, if you find some getting through you can hold comments with specific words in them in the Comment Moderation box or add them to the Comment Blacklist in the bottom two boxes are shown below. Comment moderation is an entire option available for managing comments. This option lets you keep a record of spam on your old post. By default, WordPress deletes the spam on your post that is more than 30 days old. The anti-spam plugin i.e., Akismet that comes integrated into the WordPress does this. If you do not want the spam on your old posts to disappear, go to Akismet spam queue and check the box. Majority of the spam comments contain a large number of hyperlinks. The default setting permits two. The users can make it higher or lower at their discretion. If it is set to as low as 0, all the comments will be held in moderation. This means that the comments will have to be approved before they are displayed. Comment blacklist is very similar to comment moderation and only differs from it in one aspect. If something matches here, the comment is instantly deleted and sent to trash instead of keeping it on hold for moderation. Allowing others to comment on your WordPress blog posts is a great way to gain repeat traffic. Used in conjunction with the Subscribe To Comments Reloaded plugin, that allows comment authors to subscribe to the comments on the post. They will be notified of any new comments and will come back to read more. Remember to encourage comments when writing a blog post. You want people to ask questions or add-on to any points you made in the blog post. Interacting with the comment section is a great way to get to know your audience and be able to write content for your audience.